It’s Clinique Bonus Time 2019 at Belk + 15% off all Clinique! Nordstrom has a new beauty gift bag with $25 purchase and more Superbowl deals! (NEW) GIFT 4: 15% Off Clinique Beauty Products with code “81715917“, ends 2/4/19. Here’s my latest beauty haul from Nordstrom. I only purchased three items on the left and everything else — free! Tarte Cosmetics (NEW)(Today only) offers the $20 off with $60 purchase sitewide use coupon code “TOUCHDOWN”. Ulta (NEW) FREE! 3 Pc Gift with any $20 NYX purchase (offer valid 2/2/19-2/16/19 or while quantities last). Clarins Clarins (NEW) GIFT 1: (2d) Free 6-Piece Valentine’s Day Gift with any $100+ order at Clarins! Use code LOVE19. Valid 1/29 – 2/9. GIFT 2: Plus, get another 5pc free git on orders over $125 use coupon code “CNY19DM”. GIFT 3: Plus, get another 5pc BONUS gift with any $200 order use coupon code “LUNAR19”. (NEW)(FREE) Free 8×10 Enlargement with code PRINT4FREE ($3.99 value) Opt for FREE in-store pickup at your local Walgreens store to save on shipping. Receive a FREE 12-Piece Gift with $20 Beauty Purchase – no code needed and for beauty enthusiast only! Offer valid while supplies last on Walgreens.com. Limit 1 free sample bag per transaction, and per household. Online only. Samples may vary. The value is approximately $41. Valid only for Beauty Enthusiast members and must be signed in to qualify. Cart must contain $20 or more of eligible beauty products at time of checkout to redeem offer. Purchase requirement must be met in a single transaction, before taxes and shipping, after discounts, store credit and redemption dollars are applied. 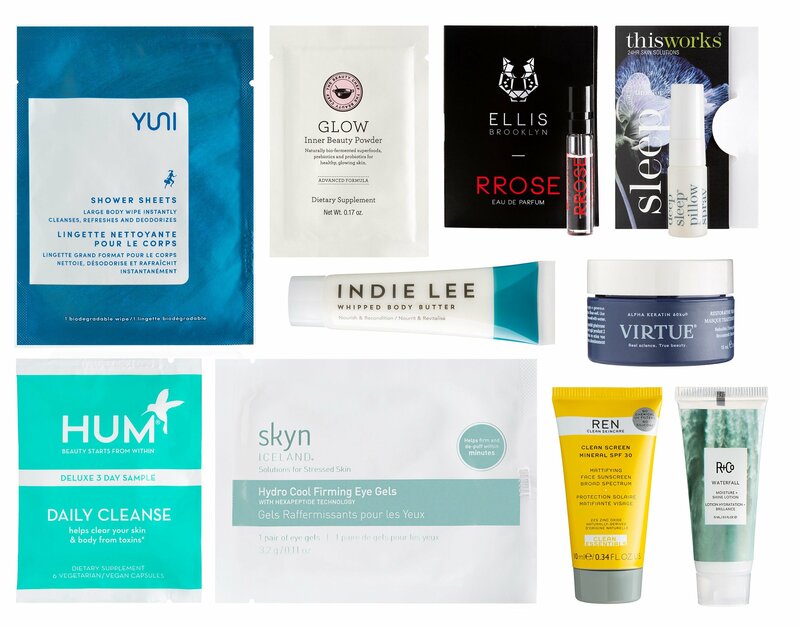 Beauty Enthusiast Sample Bag will be automatically added to cart once threshold is met and bag is still available. ASOS US (NEW)(HOT) One big game. One big sale. One day only. In between epic plays, chicken wings and that halftime show, score 20% off EVERYTHING on ASOS. Let’s do this! Just enter code: KICKOFF at checkout. Ends Monday 3 a.m. EST. Cult Beauty (NEW) See Cult Beauty brand specific gift with purchase offers (no coupon needed) this week. (NEW) Get a FREE full size Essential Hydration Concentrate when you spend £60 Alpha-H.
(NEW) Get a FREE full size Love Contours All Palette when you spend £30 on NYX Professional Makeup. (NEW) TRY: Use codes: 19CNY15 to get £15 off £100 purchase, 19CNY25 to get £25 off £150 purchase or 19CNY30 to get £30 off £200 purchase. Macy’s (NEW) Choose Your FREE Trial-Size Gift with any $35 purchase from Select Beauty brands! Choose gift from MAC, Urban Decay, bareMinerals, IT Cosmetics, Tarte, Smashbox, Benefit, or Grande! Purchase $35 worth of product from these select brands to qualify for offer: Benefit Cosmetics, It Cosmetics, Urban Decay, Girlactik, Anastasia Beverly Hills, Tarte, Grande Cosmetics, Winky Lux, Too Faced, Smashbox, bareMinerals, Stila, Buxom, Nudestix, Laura Geller, NYX, OPI, Inglot, Essie, CONTEXT, trèStiQue, RealHer and Deborah Lippmann!